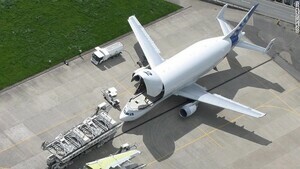 Behold the Airbus A300-600ST ‘Beluga’ – a cargo aircraft with over 1200 cubic meters of space and a carrying weight of 42 tonnes. 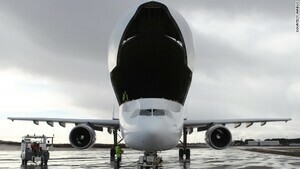 Not the biggest but easily the whaleiest. 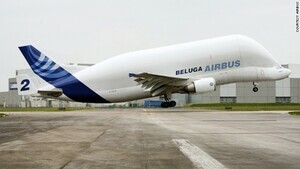 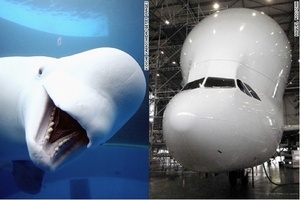 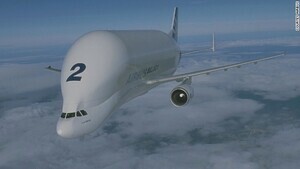 Posted in Design, Video and tagged Airbus, beluga whale at 9:20 am on January 23, 2014 by Broadsheet.